Hi, My name is Andrea Fowler. I’m an attorney here at Hyland and Padilla, I work in the Raleigh office located at 2609 Atlantic Avenue, Suite 107. Today, I want to talk to you about the three (3) most important things that you should do after an injury on the job. The first thing to do is to report the incident to a manager or supervisor, it’s as soon after the accident was possible would be best. You can verbally report it to a manager or supervisor or you can report it in writing to the managers or supervisors. The second most important thing to do is, to seek medical treatment. Ideally, your employer would send you to a doctor or *inaudible* or hospital depending on the severity of the injury. If they have not offered to send you to the doctor you could ask them. Say, “I’m feeling bad, I’m injured, I need to see a doctor can you send me somewhere?” If they still refuse to send you somewhere after that, then the suggestion would be to see a medical treatment on your own as soon as possible. The reason why we say that is it really is important to help document your injuries. When you do think medical treatment. The doctor’s going to ask you, “How it happened? “Were you at work?” and he’s going to document what injuries you sustained based on his exam. We can then use that record later on in your case to help you, should the insurance company choose to deny your claim. The third important thing to do is to consult with an attorney about your claim. Worker’s compensation can be a very confusing and difficult area of law not many people are familiar with it. So, consulting with an attorney will help you understand what your benefits are and what your needs are. Here in Hyland and Padilla, we offer free consultations all you need to do is call our office. We can interview on phone conference or we can schedule an appointment to come to the office to talk further about your case. Again, those consultations are free of charge so there is really nothing to lose. 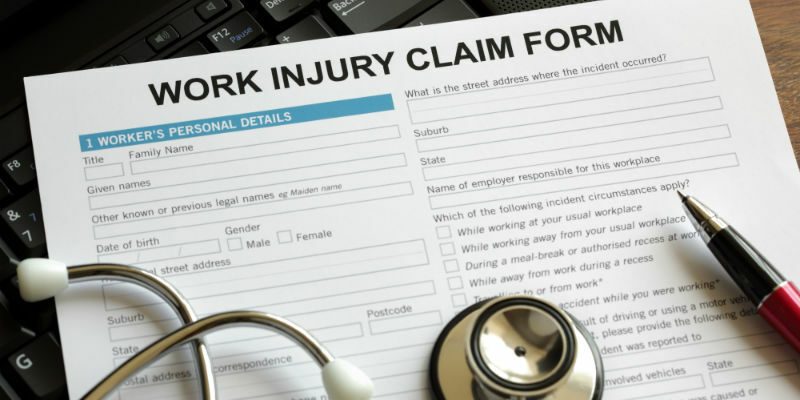 If you need assistance with your worker’s compensation claim, or the insurance company is denying a claim you feel should be covered, give Hyland + Padilla a call today to discuss your situation with one of our Raleigh + Durham worker’s compensation attorneys. * The use of the Internet or this form for communication with the firm or any individual member of the firm does not establish an attorney-client relationship. Confidential or time-sensitive information should not be sent through this form. Great group of lawyers who really care about their clients! Great group of lawyers who really care about their clients. If you need a personal injury lawyer, this is the firm for you. Working with Andrea and her team was a pleasant and professional experience from beginning to end. Although there were lots of quirks that presented throughout my case, she was always kind, returned all of my calls and answered every question that I had, all with a smile in her voice. She didn't hold back in sharing the not soo fun stuff, however, she also came with suggestions and solutions. She worked really hard to ensure that my case was resolved in a timely manner. I would recommend her 1000%. Even throughout such a difficult time in my life, this was a very positive experience. I have been a client of Hyland and Padilla for over 13 years. I am very pleased with their services, their personal attention, and their friendly support. It is always a pleasure to speak with them, no matter how much time has passed. They create a comfortable atmosphere and help to assuage feelings of fear and anxiety, whether in the office, on the phone, or in the courtroom. At Hyland + Padilla, PLLC, we have dedicated ourselves to protecting the rights of our clients and achieving for them the compensation that they deserve. *The information on this website is for general information purposes only. Nothing on this site should be taken as legal advice for any individual case or situation. This information is not intended to create, and receipt or viewing does not constitute, an attorney-client relationship.